Curiosity: It Helps Us Learn, But Why? Ever wonder what happens in the brain when you are curious? Why does being curious help you learn? In a new study on curiosity, these questions are answered. Read below. 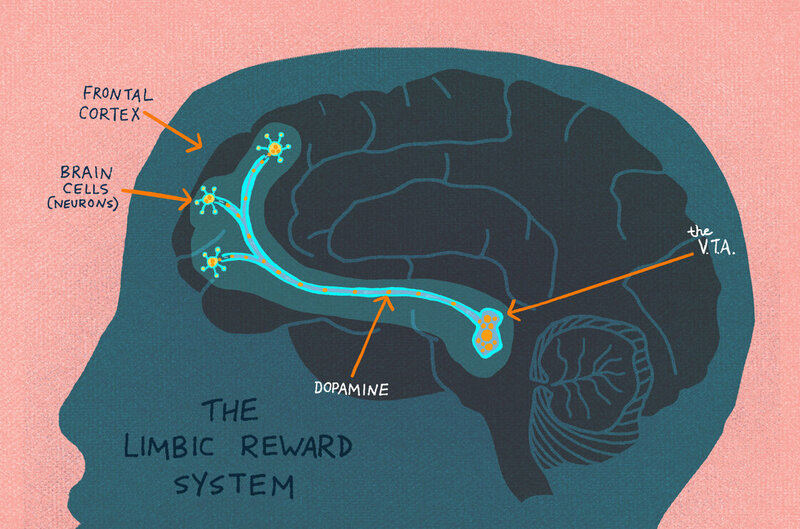 The Limbic Reward System lights up when curiosity is piqued. How does a sunset work? We love to look at one, but Jolanda Blackwell wanted her eighth-graders to really think about it, to wonder and question. So Blackwell, who teaches science at Oliver Wendell Holmes Junior High in Davis, Calif., had her students watch a video of a sunset on YouTube as part of a physics lesson on motion. "I asked them: 'So what's moving? And why?' " Blackwell says. The students had a lot of ideas. Some thought the sun was moving; others, of course, knew that a sunset is the result of the Earth spinning around on its axis. Once she got the discussion going, the questions came rapid-fire. "My biggest challenge usually is trying to keep them patient," she says. "They just have so many burning questions." Students asking questions and then exploring the answers. That's something any good teacher lives for. And at the heart of it all is curiosity. Blackwell, like many others teachers, understands that when kids are curious, they're much more likely to stay engaged. But why? What, exactly, is curiosity and how does it work? A study published in the October issue of the journal Neuron suggests that the brain's chemistry changes when we become curious, helping us better learn and retain information. "In any given day, we encounter a barrage of new information," says Charan Ranganath, a psychologist at the University of California, Davis and one of the researchers behind the study. "But even people with really good memory will remember only a small fraction of what happened two days ago." Ranganath was curious to know why we retain some information and forget other things. So he and his colleagues rounded up 19 volunteers and asked them to review more than 100 trivia questions. Questions such as, "What does the term 'dinosaur' actually mean?" and "What Beatles single lasted longest on the charts, at 19 weeks?" Participants rated each question in terms of how curious they were about the answer. Next, everyone reviewed the questions — and their answers — while the researchers monitored their brain activity using an MRI machine. When the participants' curiosity was piqued, the parts of their brains that regulate pleasure and reward lit up. Curious minds also showed increased activity in the hippocampus, which is involved in the creation of memories. "There's this basic circuit in the brain that energizes people to go out and get things that are intrinsically rewarding," Ranganath explains. This circuit lights up when we get money, or candy. It also lights up when we're curious. When the circuit is activated, our brains release a chemical called dopamine, which gives us a high. "The dopamine also seems to play a role in enhancing the connections between cells that are involved in learning." There was one more twist in Ranganath's study: Throughout the experiment, the researchers flashed photos of random faces, without giving the participants any explanation as to why. Those whose curiosity was already piqued were also the best at remembering these faces. The researchers were surprised to learn that curious brains are better at learning not only about the subject at hand but also other stuff — even incidental, boring information. "Say you're watching the Breaking Bad finale," Ranganath explains. If you're a huge fan of the show, you're certainly really curious to know what happens to its main character, Walter White. "You'll undoubtedly remember what happens in the finale," he says, but you might also remember what you ate before watching the episode, and what you did right after. This is a phenomenon teachers can use to their advantage in the classroom, says Evie Malaia, an assistant professor at the Southwest Center for Mind, Brain and Education at the University of Texas, Arlington. "Say a kid wants to be an astronaut," she says. "Well, how do you link that goal with learning multiplication tables?" A teacher may choose to ask her class an interesting word problem that involves space exploration, Malaia says. At the end of the class, students may remember the answer to the word problem, but they'll also remember how they found the answer through multiplication. "This way kids basically get into the driver's seat," Malaia says. "They feel especially good if they discover something, if they construct knowledge themselves." Teachers have been using this technique instinctively for years, she adds, and now the science is backing that up. "Curiosity really is one of the very intense and very basic impulses in humans. We should base education on this behavior." There's a lot scientists still don't understand about curiosity. "There's only a handful of studies on curiosity," Ranganath says. "It's very hard to study." Researchers don't know, for example, why exactly we get such a high off learning, through Ranganath says it makes sense from an evolutionary standpoint. "We might have a basic drive in our brain to fight uncertainty," he says. The more we know about the world, the more likely we are to survive its many perils. Scientists are also trying to figure out how long the effects of curiosity last — if a kid's curiosity is piqued at the beginning of the school day, will she be good at absorbing knowledge all day long? Or will she lose interest? What Ranganath wants to know most is why some people seem naturally more curious than others. Lots of factors, including stress, aging and certain drugs can affect dopamine processing in the brain, he says. Genetic factors may also influence how inquisitive we are. "If we could figure these things out, it would have a huge impact. We could help those who may just seem bored," Ranganath says. Blackwell, the science teacher in California, says she doesn't have to deal with that problem too often. She says her students love exploring the mysterious unknowns in science: What happens when a car crashes? Why does one car get more beat up than the other? Why do some people look more like their aunt than their mom? How do rainbows work? "I tell my kids there's no dumb questions," Blackwell says. "That's science: asking questions and seeking answers."